Started in 1911, San Francisco symphony is one of the oldest orchestras based in San Francisco, California. The San Francisco symphony orchestra plays in Louise M. Davies Symphony Hall, built in 1980. The San Francisco symphony orchestra is now headed by Michael Tilson Thomas, who has held the position since September 1995. 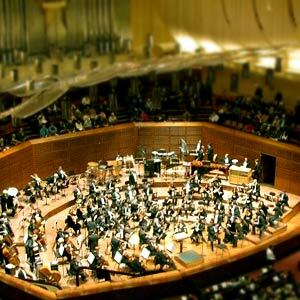 The San Francisco Symphony is world-renowned and makes regular tours of United States, Europe and Asia. Their concerts are broadcast weekly by numerous radio stations. The orchestra has a long history of recordings, most notably those made with Pierre Monteux for RCA, Herbert Blomstedt for Decca, and Michael Tilson Thomas for BMG and the orchestra's own SFS Media label. In 2001, the San Francisco Symphony launched its own recording label, SFS Media.